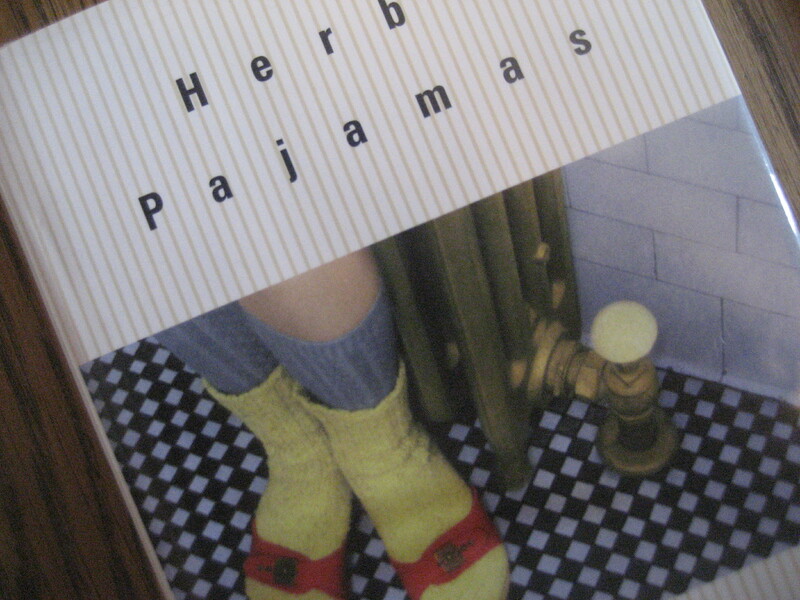 I got hooked on the truth in her fiction first, Getting Over Tom, An Actual Life, and Herb’s Pajamas–the last two are little hardback squares. 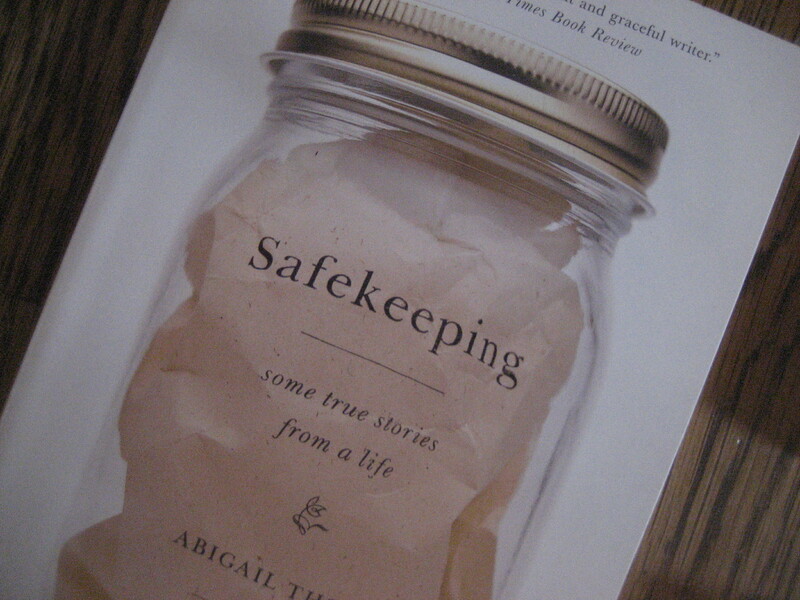 I loved Safekeeping, her first memoir. 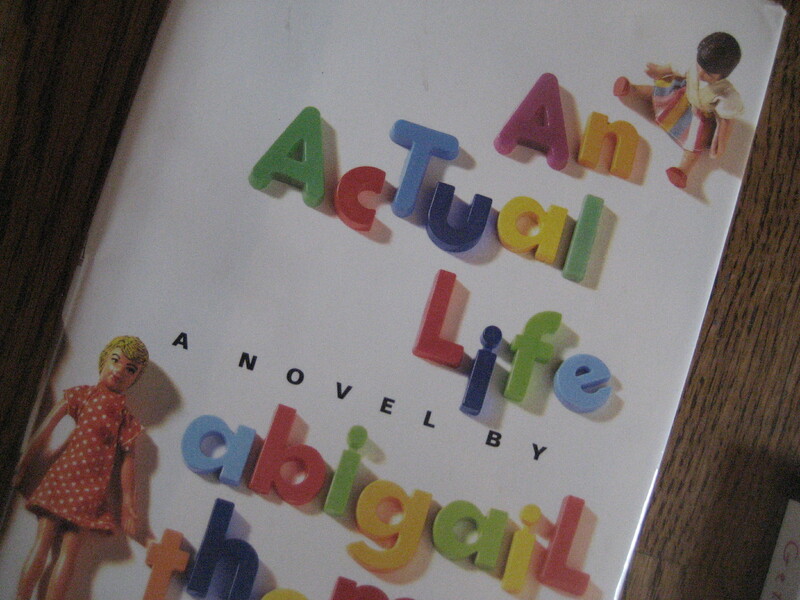 Its short sections are a concrete example of her life zigzagging and doubling back, the many truths of herself. 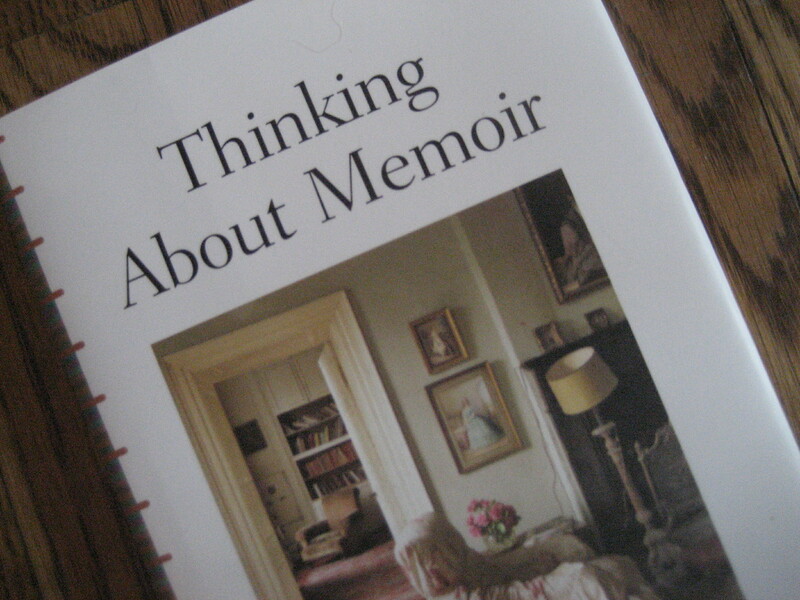 Thinking About Memoir is another little book. A rectangle instead of a square. Thomas writes, “Memories survive on a wisp of a fragrance, or a particular shade of blue…” Then a phrase you’re probably sick of me using, but oh, then I really knew I was in: “This is… about letting one thing lead to another. Follow the details.” She concludes the two-page preface with this,”Memoir is the story of how we got here from there.” And this story is fascinating whether you write fiction, nonfiction, poetry, or memoir. She writes, “Be sure to include what you can’t make fit neatly into your idea of yourself, or whatever it is that ruffles the smooth surface of your life story.” This may be the most important thing I’m taking from this book at this moment. Nothing is supposed to be perfect. Let the messy real show through. And here in this book she adds, “Memory seems to be an independent creature inspired by event, not faithful to it…” I can just imagine this little creature up in my brain somewhere, in a little cave with a kodak instamatic and a pen and a pencil, maybe some file cabinets, doing the best he can to keep track of everything, and interrupted yet again as I get a whiff of something sweet. His long, floppy ears perk up, and off he goes, scurrying around, eventually delivering summer camp in Vermont, walking to the stables. The answer, of course, is no. Something I’ve noticed many times when my next youngest sister and I reminisce is that sometimes we remember events with slight differences and sometimes we each recall seemingly important aspects that the other doesn’t remember at all. But as I said in my blog recently, our memories are only our perceptions. And I simply love your little hound dog memory keeper! Memories are fragments. The missing pieces are subjective. We each will come away from it with a different angle. I agree, Tricia. After the event, what is left can only be a fragment of the whole. We fill in with our own pieces, which will give each one of us a different memory. I like your name, Waggledance! Memories are sneaky creatures, slinking around–sometimes we only get a glimpse of them. Sometimes the harder we look, the more they shrink into the shadows. I’m not even sure “getting it right” should come into play with memories. It almost seems as if there should be the event, and then separate from that each person’s memory and what that memory says about the person. Yay! Let me know how you like the book! Books – I’ve ordered two. And there’s a postal strike here…sob! I’m so glad that they’ve arrived and that you like them! Thanks for letting me know. I think it is true to say that memories are inspired by events, not neccessarily faithful to them. 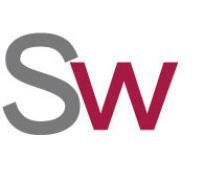 To a great extent that occurs because people remember what they “want” to remember. Cal, the idea that people remember only what they want to remember goes along with the idea that memories say more about the person doing the remembering than the event. And that there’s no right or wrong memory. Also that we can use memories in fiction to illuminate character. Cyberchuck and Cal–I completely agree that what happened, happened. And that the event can be reconstructed through photos, audio recordings, and eye-witness reports. What I’m beginning to understand, though, is that my memory of the event is separate from that event and is similar to “my opinion” of something–in that it is neither right nor wrong, and neither is it fact. And that it may say more about me than about the event. Cyberchuck, you may want to add Irish writer Anne Enright’s The Gathering, which won the 2007 Man Booker Prize, to the lone book on your fiction shelf. Enright uses memories to contribute to the authenticity of the story, as well as to create its narrative. This is what we want to read…Just yesterday in discussing book choices, my sister said read that one. She is messy, but for a reason. Love this: “Memories survive on a wisp of a fragrance, or a particular shade of blue…” So true. It’s nice to see you here. Hope you’ll be back!